Why SSL Certificate Is Important For SEO? You have seen websites opening with HTTPS and secure lock in the address bar but what does it mean? 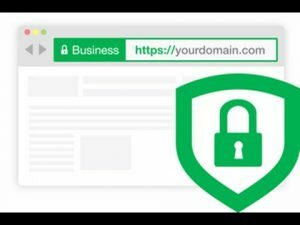 Why is it important that there should be SSL certification for your website? SSL certification is important as Google prioritized websites with SSL certificates for better search engine rankings. 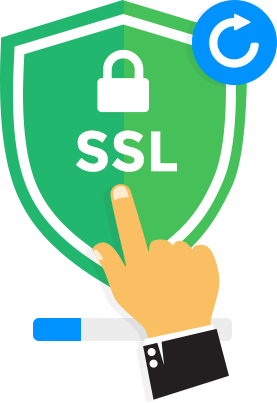 SSL is Secure Socket Layer, an encryption technology to create a secure connection amidst web server, user’s web browser. 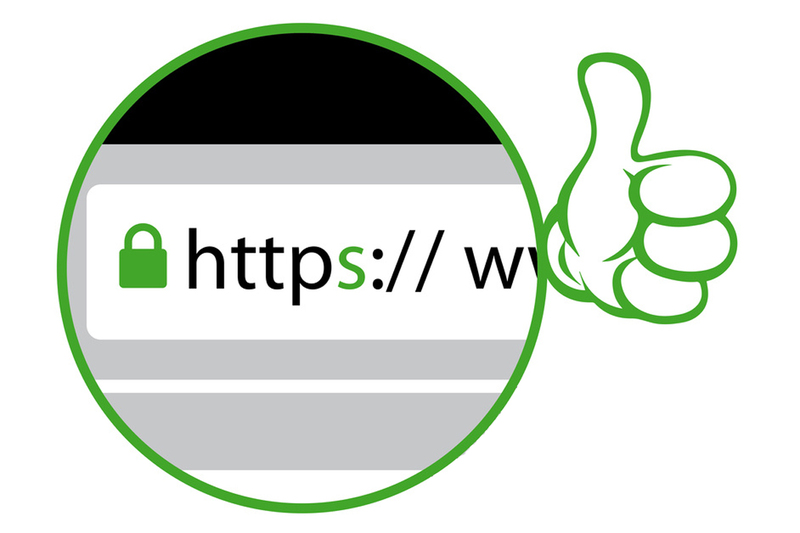 When SSL certificate is installed on the server, a small green padlock icon appears on the left of a website. 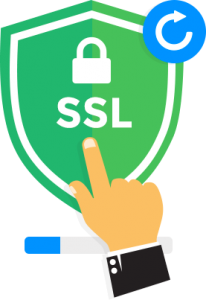 SSL certification is utilized to secure data transfers, credit card transactions, logins, and other personal information. SSL certification also gives security to customers, make visitors stay on a website for a longer time. In today’s digital era hacking a term that all generations know, so security is paramount to your website’s success. One common way to protect your website is with an SSL Certificate. So in order to make the web a safer place SSL certification is important to all websites in future. It is essential to have https on the green in your website URL. You would observe a green lock on the beginning of the URL in the address bar. If you do not have then contact a developer or a web professional for the implementation. There are reasons as to why SSL certification is so important for your website. These reasons should be considered while thinking about SSL certification for your website. verifies that domain name accessed by users is hosted by the right server. It is known as a Domain Validated certificate and the most basic type of SSL certificate. If you are running an online store or a web service, consider getting an Organization Validated certificate. The certificate issuing agency would verify the existence of your business through direct confirmations or by government databases. Organization Validated certificate gives extra information when clicked. It would verify that domain is owned and run by the right company. For e-commerce websites, this certificate establishes trust, increases credibility. Customers will feel more confident about making purchases on the online store. Prioritizing secured contents when displaying search results helps in ranking websites for search results. A valid SSL certificate to your site helps in boosting SEO performance. Then optimize your site for maximum performance. Another benefit of using SSL certification is encryption. The information transmitted to and from the server will not be vulnerable to theft and be sniffing. Only endpoints with the right encryption key can decode the transmitted data. If you have an e-commerce site, then a good SSL security implementation is important. It helps to prevent cases of data leaks that can bring a successful online store to a close. One main thing that prevents site owners from investing in a valid SSL certificate is the price. A good SSL certificate is issued by reputable bodies like Verisign or Symantec can be expensive. The verified certificate will have a direct impact on sales and revenue, especially in the case of online stores. The e-commerce sites that are covered with a valid SSL certificate can expect a boost in sales of 20% in the first three months alone. When customers are more confident while browsing through secured sites, they would complete their purchases without hesitation. Every information entered into your website is encrypted so that only you and the customer can read it. No third party site can decrypt this information. No data submitted on a site will go directly to the server. The data travels from one computer to another until it reaches the destination. Since each SSL encryption key is completely unique, there is complete security. An extra server certificate is also provided. It tells your browser that SSL certificate you own is a trusted provider. Getting a server certificate reveals that your SSL certificate is authentic. If you have an online store that asks payments, you need SSL. Companies like PayPal, VISA, MasterCard, American Express only connect their processing platforms if your site is encrypted with 128-bit. The customer has a link in an email directing to a login page similar to your site but is not. The username, password they use are recorded, sent to a scammer can login to their account. These pages do not have SSL encryption. If your own site does not have SSL certification, then customers can leave your site. Choose the type of certificate is best for your business that is single, multi-domain or a wildcard certificate. Only use SSL certificates that are given from the trusted sources. Use certificates with 2048-bit keys. Enable search engines to index your web pages and wherever possible avoid the no index robots meta tag. For all other domains use protocol relative URLs. This will help to determine which server will use your certificate. It will also impact the domain names that will be using the SSL. Then request an SSL certificate. You have to provide documents showing the true owner of the domain if you are not hosting on your own server. You would be issued a downloadable SSL certificate file that can be installed on your server. After SSL is installed, make a backup copy of the certificate and store in a secure place. It would be helpful for replacement in case of server crashes. 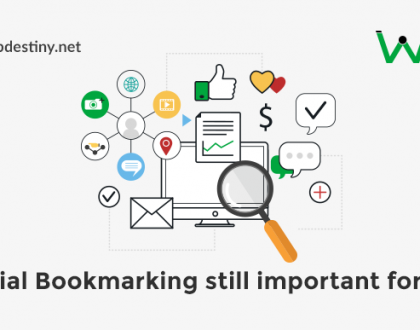 I believe that this article has helped you with the information on why SSL certification is important for improving SEO of your website. 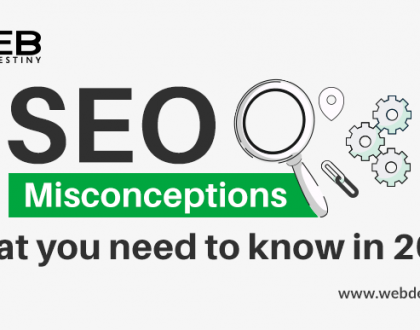 If you have any doubt regarding this topic, please make sure to comment, the professional techies at Web Destiny Solutions are always happy to help you. Web Destiny Solutions is one of the topmost Digital marketing company. We offer high-quality service in Web Design and development, SEO, Web Hosting, App Development, and Social Media Marketing. We are one of the top Web Design Company in India.